We come from a dark place …… born into the bright lights, kicking, screaming, crying and if we aren’t, well we get a smack, and we wail the location down until we are placed upon our mammies clammy skin. The pain of both people cured by the gentle touch, trust achieved and known only to those who bare the pain and deliver the joy into the world, our new world. Such a beautiful place, the clear waters wash away the tears of joy and sadness the same way. The beauty of the ocean can’t and couldn’t hide the homeless people being disturbed by the lycra brigade. The silently sleeping bearded men of the seaside awoken by the loudspeakers and the marching penguin band, struggling in the early hours of the morning off to wander along to a new place to lay their heads, awoken early from the reality, dreams lost to the waves. I’m very very very very lucky to be on a sponsored bike in 2016 from Landscape and Leisure in Kilrush, Gary lucks after the bikes I ride and I’m humbled by the care he gives me. I drove home with a trophy, a little envelope, a t-shirt and solid race effort, but on the drive home all I could think about was the thoughts that must run through the head of those who for some reason, be it their own choice or life circumstance that have them under the stars. I have a big quote on a big corrugated sign in the GoTri Club house that reads “reach for the moon, for if you miss, you will land amongst the stars “I wonder what moons these humans reached for? What stars do they see? I have barely the answers for my own minds questions, but there must be answers, we all come kicking and screaming into this world in the same way. We can all make the difference in someone’s life. After Mel passed, things became more focused. Sounds strange, maybe that’s my coping mechanism? Training all that I feel I know and all that I revert to in times of crisis? If all else fails go for a run, if that doesn’t work, go smash the weights, god forbid that doesn’t work go racing? I reverted to training with two of the biggest beasts I know, two opposites of the gyms odd couple but who push each either to the unlimited. An almost 50 year old Vinnie and a childhood friend of my own age, Dan, One an X basketballing bouncer and the other a returning rugby player chasing the weekly Sunday game, both chasing the release of what a hard training session can give, but maybe with their cajoling and encouragement they unbeknown to themselves were supporting my journey on the ever returning comeback……. sessions of pull ups, sit-ups, dead lifts, roll outs, sprints, curls, throws, rowing and all the while in those sessions of sweat inducing pain filled minutes my bodies spirit returns to what I know best, training, but healing the mind through friendships forged in Iron. That muscular pain causing healing of the mental pains…… those grey clouds, clear like the seas wash away the sweat….. Racing washes away the needs for achieving goals. Can a day go by where I don’t need a need for achieving markers? 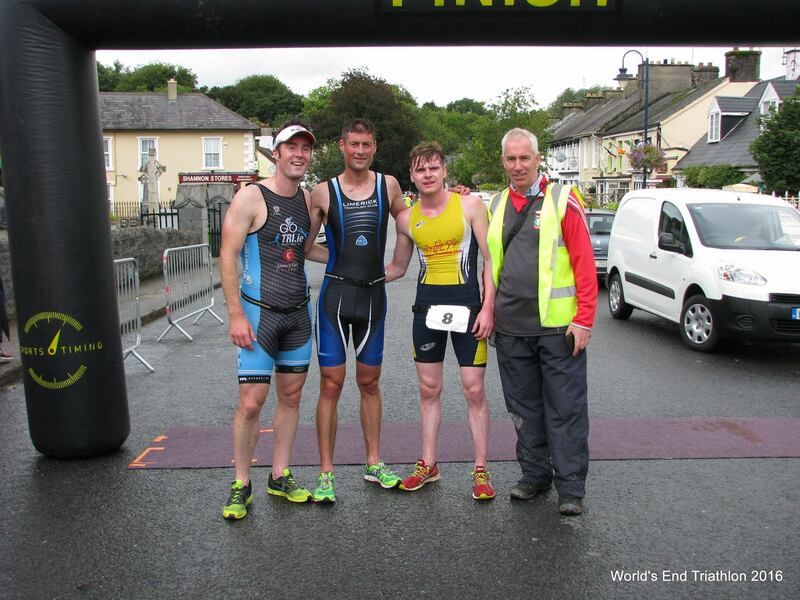 The Nrg Salthill Sprint triathlon was another race where I was lucky to achieve a podium but one that was not planned. I’m lucky to be part of Joanne’s coaching team and Club, the injured athlete still competing out of a need to keep sane, while driving me insane, kindly, was persuaded to let me race in her place. 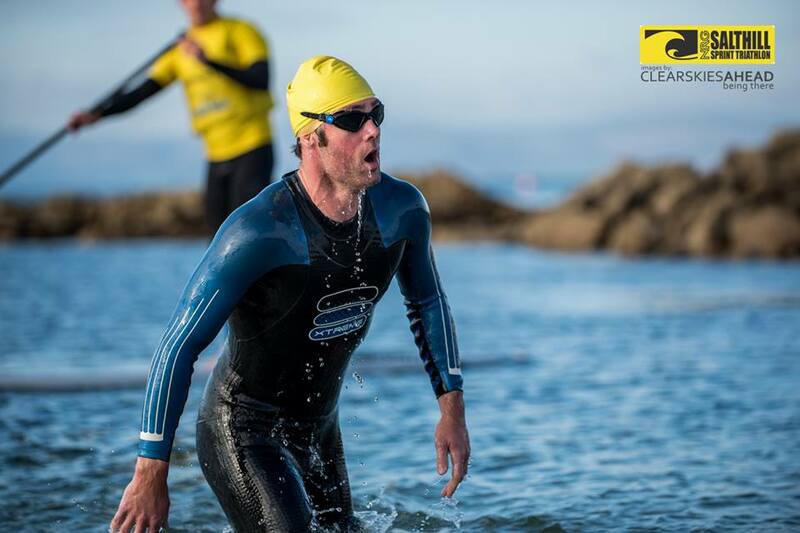 A big thank you to Brian and all the Galway tri club for letting me in and to our injured – returning champ Joanne who begged another entry, we will be back…. a gorgeous place, one I haven’t been too in way too long. The Prom, the coffee shops, the sea, the ice-cream eating walkers and views to be had were spectacular. A place so close to home I rarely visit, we must as Joanne says organise some training days up there! Wade into the crystal clear waters and pull, the race is always to the first buoy. You stroke, you pull, you kick, you fight but you get to that first buoy in the position you need to, be that in first to help control the swim or on the feet of your train ticket and you never let go. How bad do you want it? That expression by so many famous coaches and speakers, how bad do you want to breathe? Swimmers of my generation are told breathing is cheating. You don’t need to breathe as much as you do, you don’t need to breathe…… just keep pulling. That burning inside is a signal to how bad do you want it, is your fire burning bright? That swimmer inside me knows that fire, those swimmers that swim with me knows that fire. Sometimes I forget it but racing brings it back, reminds the coach to ask the question, do I need to breathe? In Castleconnel I was reminded of that fire, trying to hold the feet of that young predatorian speedster Joe. Inner coach asking that question….. Fire burning. You are the only one who can judge your own effort. You might have a coach, you might have a Garmin but they will only tell you stats, you can’t lie to yourself. I exited the waters in first place, swimming out of fear running up the beach searching for oxygen bubbles and glancing for rivals. Swimming is sport of repetition makes perfect, countless hours of stroke work in the pool, repeats after repeats but most don’t understand swimming, it’s an awareness sport. An awareness of one, that needs to breathe. 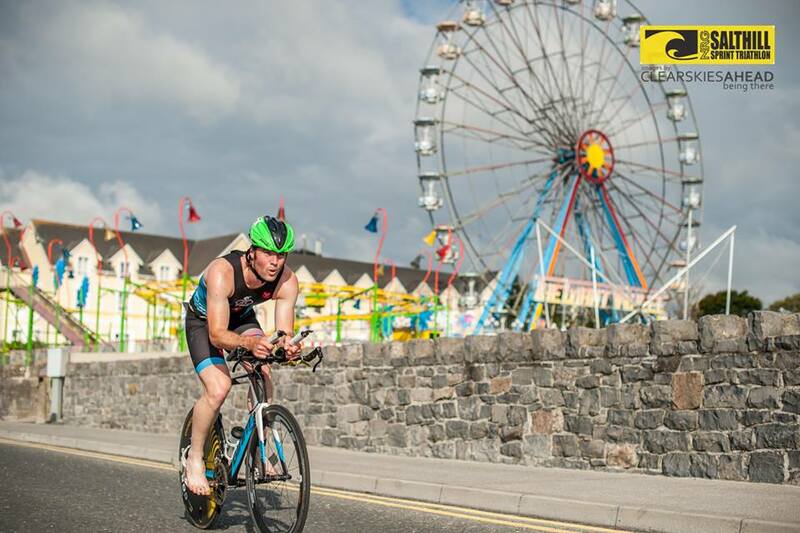 The rolling roads, the continuous changing of gears, the whirring of the carbon wheels or is it the hum of the carbon disc on the Giant trinity I am unsure but I lost the focus I had while on the swim. Maybe it was the early racing hour but I only “woke” up to myself when Rory caught me, from there it was a chase…… a chase I would ultimately loose but a battle I would maybe not loose, Maybe a relearning. I ran, I held second place but all the while I was haunted by the images of grown men asleep on the park benches, I focused my cadence of quickening arms and legs on running fast. Turning over in fast tippy tappy sort of rhythm chasing the early markers of the Tri a Tri athletes using them as targets while wondering about the causes of death and homelessness. These thoughts should not enter the mind of athlete in mid race stride. No amount of coffee can inspire an athlete to run, No amount of salty water can wash away all that is seen and unseen but we have that innate ability to keep fighting, that human trait of never giving up, that survival instinct, I wonder in this battle for second place did these peoples battle inspire my own, did my sister’s death inspire the final comeback, maybe those last words my father spoke was the letter my sister’s death delivered. As I sip this 4th cup of coffee I feel ready to fight, we all have a dream sometimes we just need to remember that fighting and kicking spirit with which we were born and to harness those reminders be they good or bad to continue to chase.